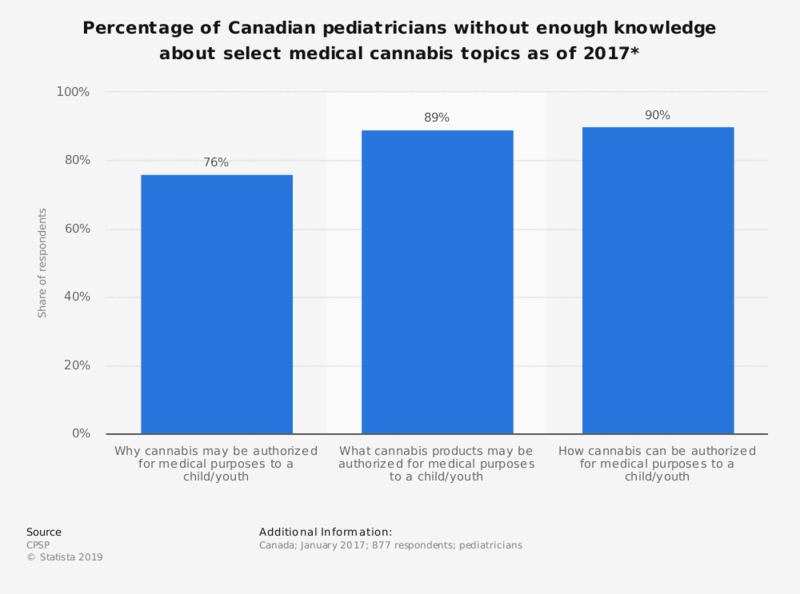 This statistic shows the percentage of Canadian pediatricians without enough knowledge about select medical cannabis topics, according to a survey conducted in January 2017. It was found that 90 percent of pediatricians didn't know how to authorize medical cannabis to a child or a youth. * Respondents that said they had no knowledge or minimal knowledge regarding the selected topics.